John Doe Vigilante hits cinemas October 16th and to celebrate, Monster Pictures is giving you a chance to win an epic prize! 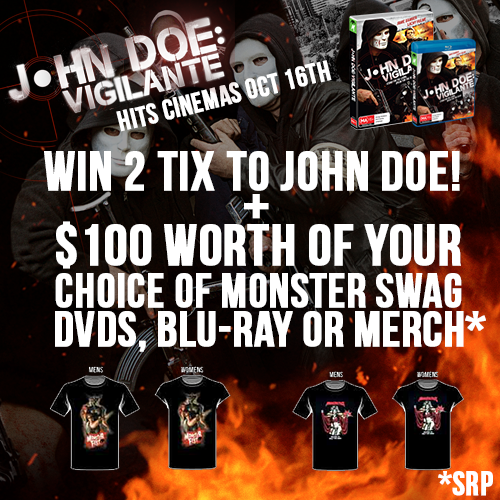 We are giving you the chance to win a double pass to see John Doe Vigilante at a participating cinema, as well as a sweet $100 of Monster merch! Pick from DVDs, Blu-Rays, Apparel- what ever you like! To enter head over to the facebook page! and tell us in 25 words or less about a film that changed your views!